A few months ago, one of the engineers on our team asked me who, in my opinion, was the best engineer in the world we could hire right now. I answered squarely, “Nico Sallembien”. A little later, I gave the same answer when a VC, who was trying to convince us to raise capital quickly, asked me to name the top person I’d compliment my leadership team with. At the time, Nico was at Twitter, where he built its highly successful localization platform used by close to one million translators worldwide today. Before Twitter, he was at Google building their internationalization stack. And before that, he was at Ariba and Borland. 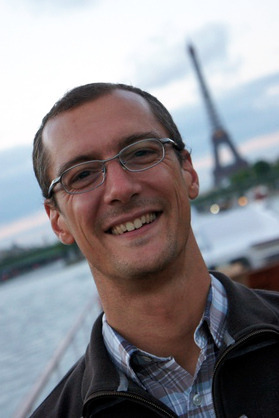 I’m ecstatic to share that Nico Sallembien has joined Transifex as our VP of Engineering. We’ve been keeping close tabs on Nico for a while. He’s a visionary who just “gets it”. He understands the true power of localization and its possibilities if you make it work right (painless, automated, accessible, and dead easy). Nico is one of those passionate people who shines working with teams building groundbreaking technologies. And one of those guys who I am never tired of talking technology with.